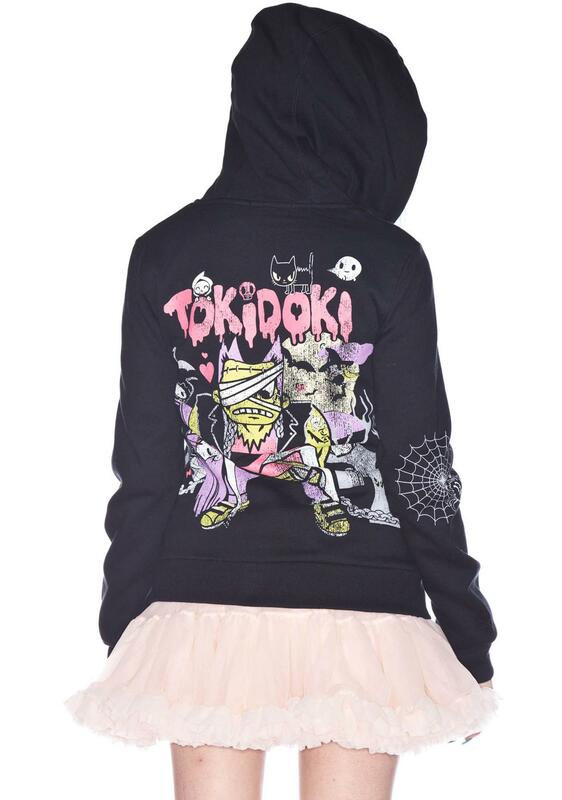 Tokidoki Afraid of the Dark Zip Hoodie featuring a zip up the front with a lighting bolt charm. There's a freaked out cat on the front and the sleeve has a spiderweb hanging out on the elbow, kinda like a tattoo, right? The back is where it gets so sick. Big graphic that reminds us of a metal band tee. Total chaos going on with distressed detailing. Tokidoki could totally be a band. Throw this on over a t-shirt dress and ankle boots.